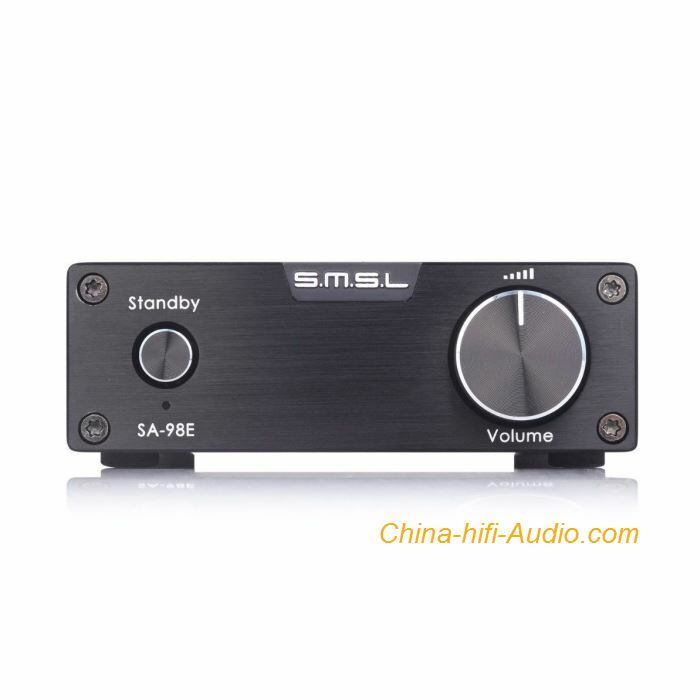 SMSL SA-98E Big Power 2 x 160W stereo,with 36V power adapter. TDA7498E of STMicroelectronics as the core,equipped with high-quality advanced digital amplifier EPCOS, Panasonic, ALPS, RIFA, ERO subtle accessories. ALPS potentiometers are low coloration, low noise, high balance and durable. It comes with a super short-circuit and over-temperature output overload protection,very suitable for long time using. High-grade Aluminum Shell, draw bench erode grain Oxidation Process.